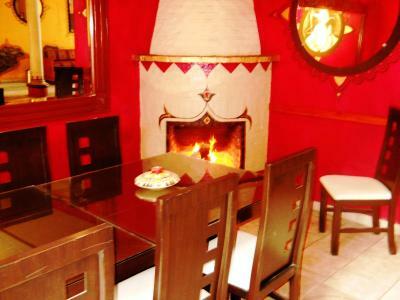 Lock in a great price for Hotel Casa Blanca – rated 8.8 by recent guests! The location and the seating area outside my room. Also the breakfast. Location was perfect! 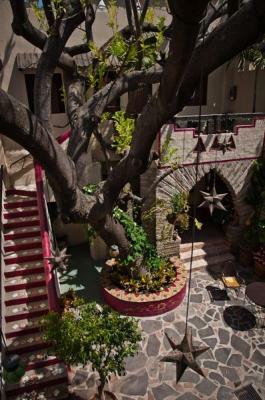 View from 2nd floor rooms is beautiful and courtyards are lovely and peaceful. The bed was comfortable. Bathroom was large. Kitchenette was adequate. Liked the balcony. The staff was absolutely AMAZING which always helps when staying at a hotel. 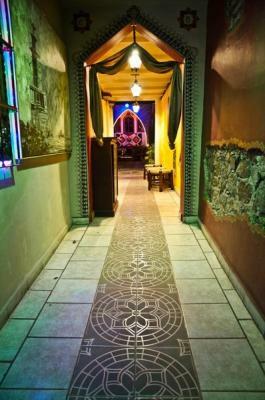 Individual hand painted Moorish detailing throughout the hotel. The showers and bathroom facilities were the best I have encountered in Mexico. Friendly and helpful staff. Location, comfort, all staff, breakfast, jug of water in room, great shower. Jessica our driver from airport very nice and also pointed out things as we rode. Communication prior to arrival A+. Would definitely stay again if need be. Friendly and helpful staff. Great location. Lovely building. Actually quiet after 9:00. 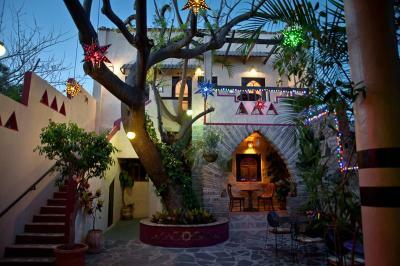 Before I stayed at Hotel Blanka, I had rented a lovely casita in La Floresta for 3+weeks. I was vacationing alone, and with the exception of my sisters coming for a few days, I found the owner to be a pill and unhelpful. The people who work at the hotel went out of their way to make me feel at home, provided for all my needs, and made me feel safe and well cared for. Highly recommend, esp. if you are traveling alone, you won’t feel so alone. 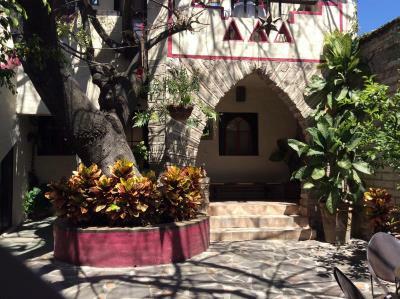 Hotel Casa Blanca This rating is a reflection of how the property compares to the industry standard when it comes to price, facilities and services available. It's based on a self-evaluation by the property. Use this rating to help choose your stay! 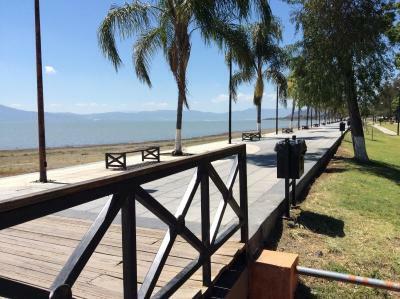 One of our top picks in Ajijic.Hotel Casa Blanca is located in Ajijic town center, less than 650 feet from the beautiful Lake Chapala. 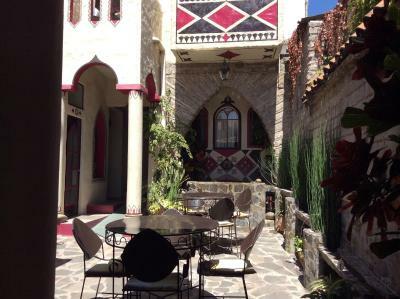 This eclectic charming hotel features daily breakfast, WiFi and free phone calls. 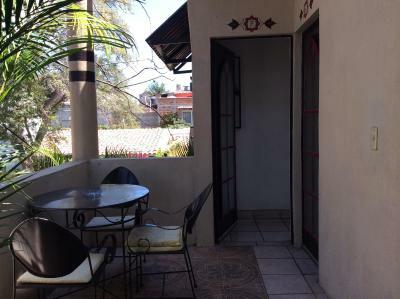 Each room features a seating area, flat-screen cable TV and private bathroom with shower. Fully-stocked kitchenette rooms are also available. 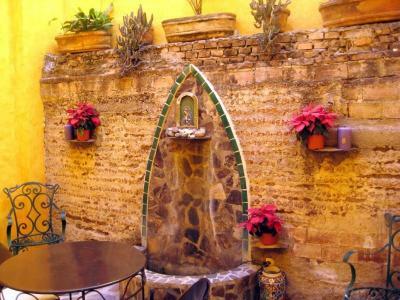 At Hotel Casa Blanca you will find a full-time front desk with concierge service and a lobby bar, as well as a garden patios and a rooftop terrace. 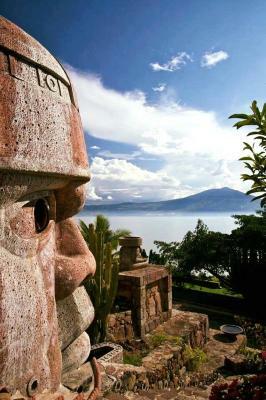 The city’s main plaza can be reached in 5 minutes on foot, while the area’s relaxing hot springs are a 15-minute drive away. Guadalajara International Airport is a 40-minute drive away. Airport transportation and same-day laundry services can also be arranged. 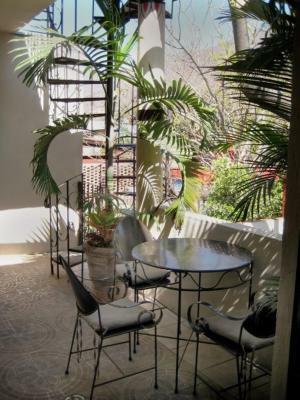 This property also has one of the top-rated locations in Ajijic! Guests are happier about it compared to other properties in the area. 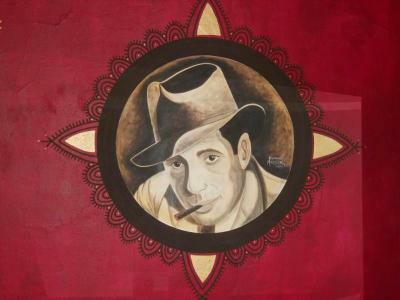 When would you like to stay at Hotel Casa Blanca? This room features a seating area, plus a wardrobe and a flat-screen cable TV. The private bathroom includes free toiletries. Public parking is available at a location nearby (reservation is needed) and charges may apply. This room features a kitchenette equipped with a fridge, microwave, coffee maker, toaster, sink and kitchenware. 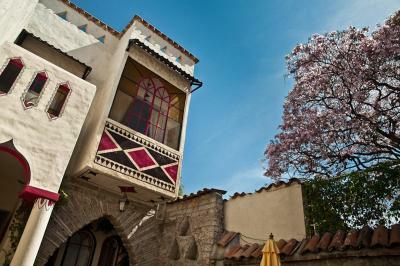 Guests will also find a seating area, wardrobe, flat-screen cable TV and patio or balcony. House Rules Hotel Casa Blanca takes special requests – add in the next step! Hotel Casa Blanca accepts these cards and reserves the right to temporarily hold an amount prior to arrival. Stairwell full of leaves. Breakfasts were buffet, unchanging, minimal and uninspired. Owner seems to be ready to sell or retire. Heart isn't in it. 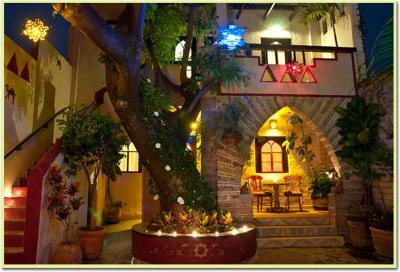 The location was excellent and the hotel itself was very charming with the tree growing in front of the room. Two small things that would have made it better would have been another lamp (there was only one by one side of the bed) and a ceiling fan. However, we did have a floor fan to help keep cool. The staff was excellent - they were very helpful and put my mind at rest with a situation that I was worried about. Microwave was dirty. Noisy neighbors. 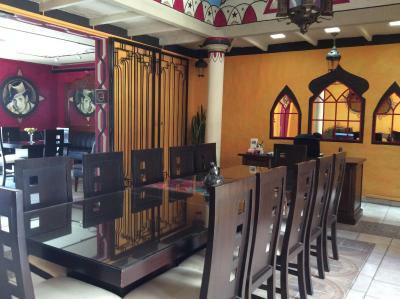 There were nicer accommodations in Ajijic for less cost, so it seemed the cost related mostly to location. Excellent location and very attentive staff. Very comfy bed and good water pressure. The room was very small, albeit enough for one or two persons. Very courteous personnel, everybody was very friendly. The grounds were very clean and well groomed. It was really hot and especially difficult to sleep as there was no ac or ceiling fans - just a stand alone fan which didn’t really work too well for sleeping. People were incredibly friendly. 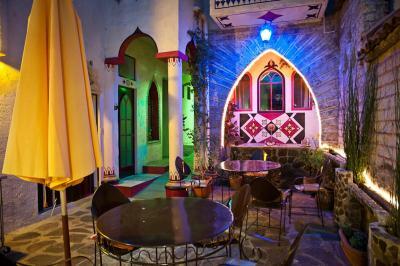 Location was central to absolutely everything in Ajijic. Hotel had a relaxed and welcoming atmosphere. I would stay here again - even though there were things that I feel could be improved. Parking can be limited and streets are very narrow. Breakfasts were terrible, staff surly, cobblestone roads terrible, sidewalks torn up and very narrow, Streets dark, little public lighting after dusk, Lake Chappalla smelled terrible. Not a paradise as advertised. The rustic charm and the great staff. Loved the ambience, view and staff. Room was small. Would have been cramped for 2 people. Would have like a few more dishes and silverware.